It's so nice going to other people's supper clubs. I do so many of them myself, it's lovely to see what other people are doing with theirs. So when I was invited to Juma Kitchen supper club I was very keen to go. Not only to experience someone else's pop up but this particular supper club is Iraqi food - something I'd not had before. Throw in a few of my favourite bloggers sitting next to me, and it was bound to be a good night. The first notable difference between Juma Kitchen and my supper clubs is the venue - mine mostly happen at my house (or at a local hotel) whereas the Juma event I went to was at a proper restaurant - The Jam Tree in Clapham - in the back room, which they'd made private for the event. The second obvious difference was the number of people. Mine range from 12-30 guests, but I'd say there were at least 50 diners in one sitting at Juma. So it's much more like a normal restaurant than lots of supper clubs I've been too, apart from you sit on a table with strangers, and there's a fixed menu. The menu on the night was long! We had entrees, starters, second course, mains and pudding to work our way through, but it was also full of some of my favourite things - all with a very Middle East influence, so I was excited to see what was in store, especially after a lovely welcome cocktail of gin, elderflower, fig jam, fig liqueur and fresh lemon juice - a refreshing, slightly sharp, fruity concoction that disappeared far too quickly and left me longing for another. 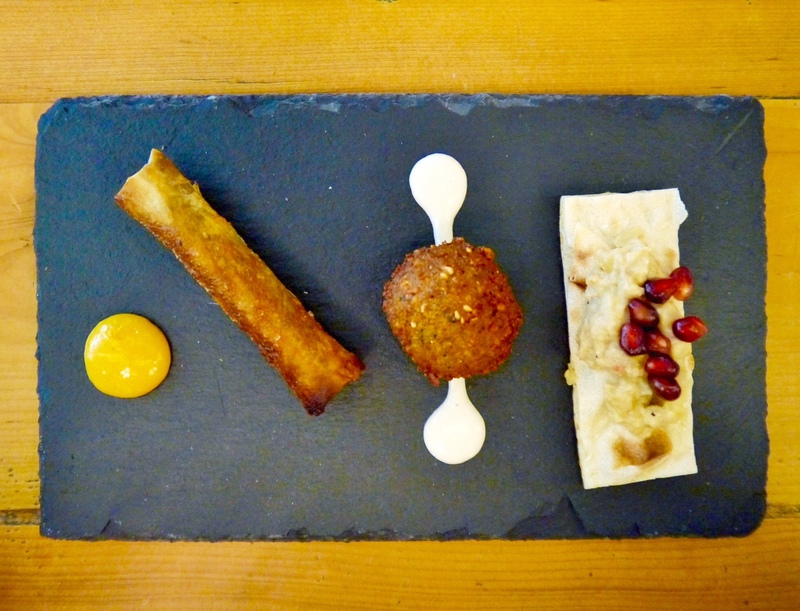 We started with a slate of 3 classics - lamb bourek, falafel and baba ganoush. They were all delicious and a great way to kick off the meal - the falafel being my actual favourite of the 3. I was expecting the baba ganoush to win, but it wasn't as smoky as other versions I've tried, so although it was good, it wasn't my favourite. Next up was the starter - boneless, crispy chicken thigh served on wafer-layered potato with a rich saffron sauce, garnished with caramelised onions. I really liked the juicy chicken, and the caramelised onions but found the saffron sauce to be too strong with saffron, and very sweet for my taste. However, I ate all of it, as the chicken and onions were too good to leave. The second course was kubba hamuth - lamb dumplings encased in a layer of rice (much like the Japanese mochi), served in a kilner jar with Iraqi spices in a rich tomato sauce, with turnips, onions, garlic and mint oil. I loved this course - the dumplings were firm and meaty and the tomato sauce really tomato-y. I know that sounds silly but so often sauces aren't strong enough and the main flavour is lost - not in this one! The mint complimented and lifted the richness of the dish. Such pretty presentation too. After consuming a lot of food already we were on to our main course, which was my favourite dish of the night. A huge plate with an upside down pan on it arrived at the table, with the pan lifted off to reveal a huge pile of dolma, surrounded by perfectly pink lamb chops - delicious! Our main course was tender lamb mince marinated in Iraqi spices with rice, wrapped in vine leaves, onion shells and red and yellow peppers, slow cooked in lemon, garlic and pomegranate seed with a French trimmed lamb chop and fattoush salad - a mammoth dish full of some of my favourite things. We were given a portion to start with and allowed to help ourselves to more of the meat and dolma, much to my delight. 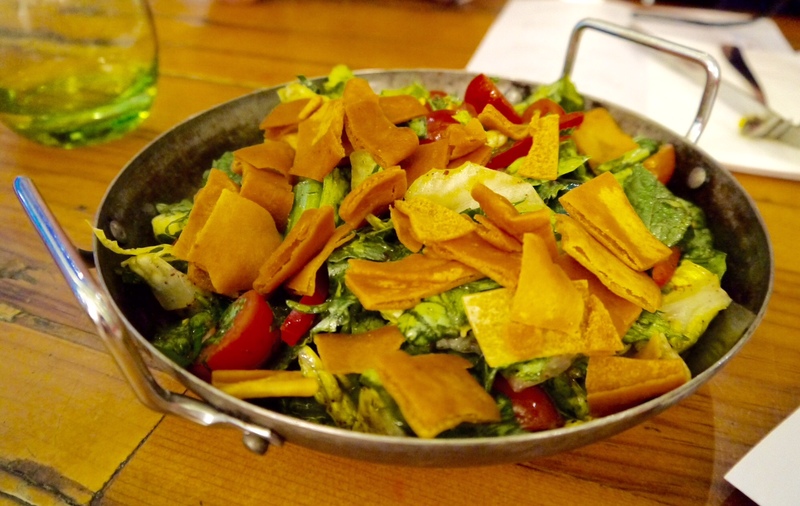 The fattoush salad was one of the best I've tried - so fresh tasting, and perfect with the meat and rice. I loved the way the chef had added the lamb chops to give a very traditional dish a more modern twist. Finally, on to pudding, which sadly didn't tickle me taste buds.... despite my name being Ros(i)e I have a thing about floral flavour - I can't stand it. My dad is the same with rose smells, so when I was presented with a pretty bowl of knafa - baked cream and soft cheese topped with shredded filo pastry and blossom water syrup and pistachios - I knew they were fighting a losing battle. I did try some, and had it been blossom syrup free, I would've really like the combination of cream, pastry and pistachios, but all I tasted was flowers, so didn't manage more than a mouthful. Juma Kitchen's pop up was an amazing experience. It was so nice to try a food style I'd never had before, and I'd love to try more of Phillip's food - the presentation was stunning, the flavours amazing and the whole concept a really good one. However, like me, you will have to wait if you want to try Phillip's food as he currently doesn't have any dates up on Grub Club for his next pop up - but you can stay in the loop anyway - click on this link, then click "follow" and Grub Club will send you an email to let you know when there are new dates available.... see you there!! I'm getting less slim Louise!!!! I try to eat as healthy as possible when not out reviewing, but I'd also rather weigh a few lbs more than deny myself good food!! I love Middle Eastern food so much! It all looks amazing! I'm the same as your Dad, I can't really stand rose smells :/ they just make me want to vom. I'm a huge fan of Middle Eastern food so was fab to try a country's food I hadn't tried before :) so delicious! Haha! 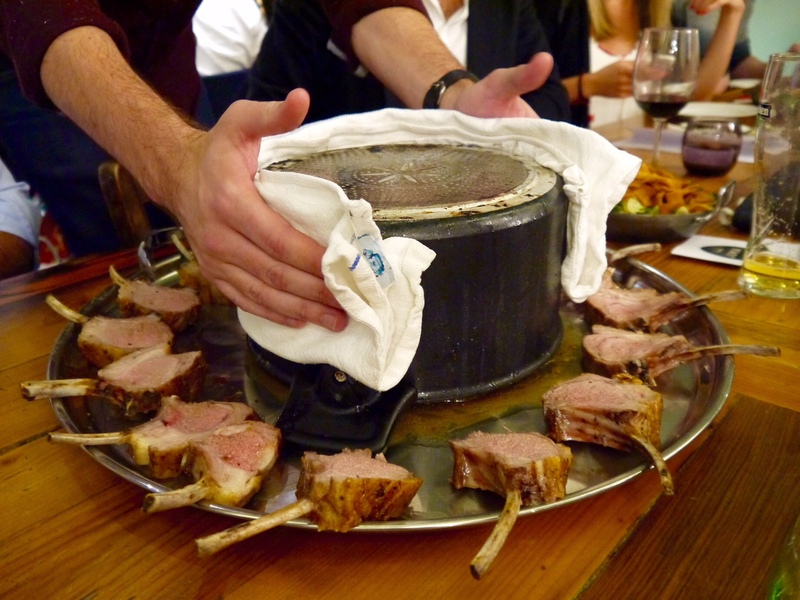 The lamb was as good as it looked... and so much food!